Get Ready for Tune In Tuesday! About the Book: (From Goodreads) Sometimes one night can change everything. On this particular night, Wren and her three best friends are attending a black-tie party at the Metropolitan Museum of Art to celebrate the opening of a major exhibit curated by her father. An enormous wind blasts through the city, making everyone feel that something unexpected and perhaps wonderful will happen. And for Wren, that something wondering is Nolan. With his root-beer-brown Michelangelo eyes, Nolan changes the way Wren's heart beats. 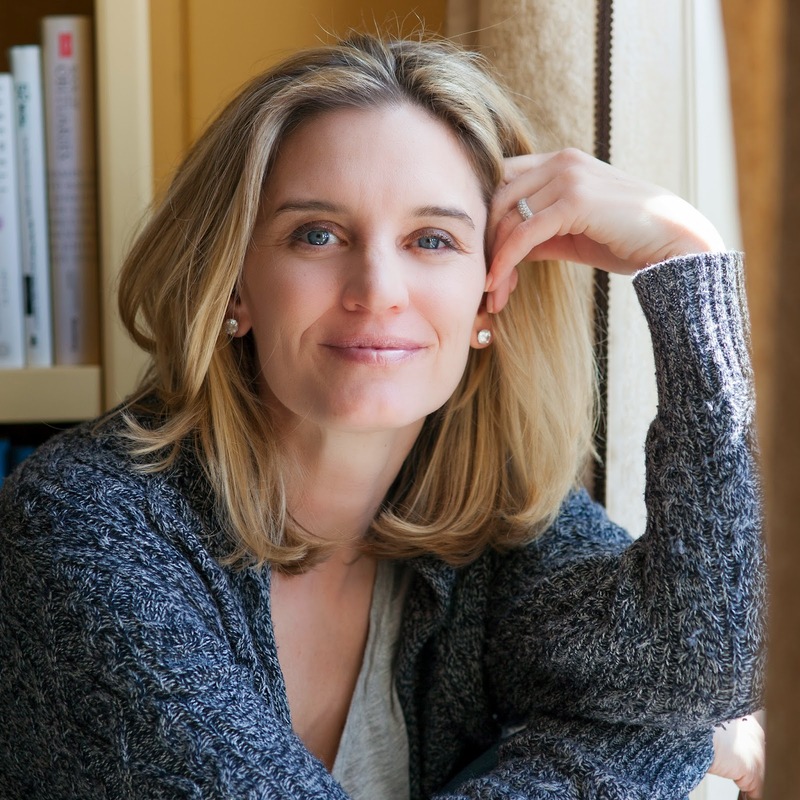 In Isabel Gillie's Starry Night, suddenly everything is different. Nothing makes sense except for this boy. What happens to your life when everything changes, even your heart? How much do you give up? How much do you keep? What inspired you to write for teens? I ADORE teenagers! No joke. First of all, I loved being a teenager. It's so big. The highs and lows are clearly defined, but at the same time life is bewildering. All the unbelievable growing invigorated me. I fell in love for the first time, followed the grateful dead, did badly in school and then got my act together and did well, I got myself in to messes and got out of them (thankfully), made big decisions, went on adventures (in my mind sometimes), etc. It's an explosive time and I remember liking it even when it was happening to me. Second of all, I have three tweens in my house and I really love it. So far it's the best time I have ever had as a parent. They are interesting and funny and infuriating all in good ways. So I wanted to write about it. -You've previously written a memoir. Was it different to write a novel? Was it harder or easier? HARDER! I wanted to try it, and I want to try it again, but man was it hard. It took me three 400+ page drafts and the first two stank pretty badly. I learned a ton. Everyday there was a new challenge that I had never met before. And the thing is, I am not a trained writer! I mean, my teachers in high school did the best they could, but I was a trained actress and never took a writing class. So I was in the dark for a lot of this process. But sometimes while I was writing, I felt swept away by the story and the emotions in the book. And the characters, I sort of fell in love with them. That stuff is magical. I adore writing memoir because it's all about getting what is inside out so someone else can feel it and hopefully identify, and there is a natural structure. You have to make your own structure in a novel and that is HARD. But it's fun. -What were some of your favorite books as a teen? Well here is the deal with that. I was not a "reader". I was so dyslexic that I was traumatized by books until I was in my early twenties. I was not one of those kids that loved to curl up with a book. Infact that was my idea of cruel toucher. But one book I read in school really stuck with me and is popping into my head now. It's called Go Down Moses by William Faulkner. That book hit me like a ton of bricks. At it's core it's about a family, but it's also about slavery, and getting through hard times. It's not a light read by any means, and maybe it's good to read it in English class like I did -- but it's awesome. I might even read it again. Enter to win a copy below! 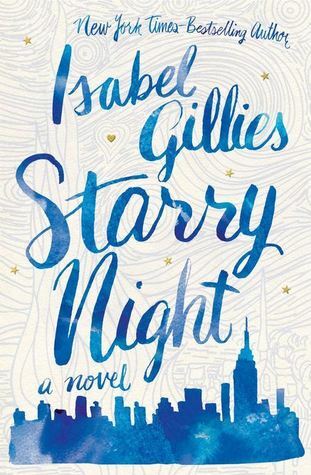 Learn more about Isabel Gillies and Starry Night. Add Starry Night to your to-read list on Goodreads. Check out Isabel’s website, follow her on Twitter, ‘like’ her on Facebook, and follow her on Tumblr. I absolutely love to sing and dance! I take every chance I get to incorporate music into my storytimes and programming at the library. And I'm always on the lookout for new music. The more I've talked with other librarians who love to sing and dance, the more I've realized that we're always looking to share new ideas and favorite new songs. And so Tune In Tuesday was born! Mark your calendars now. The first Tuesday of every month (which means next week, Tuesday, September 2!) is going to be the inaugural Tune In Tuesday post. GreenBeanTeenQueen will serve as the host, but if you'd like to host a month, chime in in the comments and let me know! What should you post about? Any music (old or new) that you love to use in your library programming. Have you discovered a great new artist? 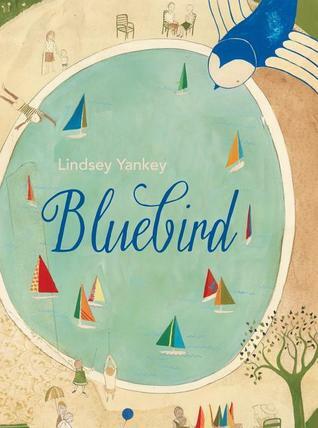 Have you found the best new children's artist that you can't wait to share? Have you found the perfect use for a favorite song? Tell us all about it! Does the blogging world really need another meme? Maybe not. But I'm hoping there are others like me who love music and are looking to find new ways to use it in their libraries. And I'm hoping by sharing our ideas in a monthly meme, we can gather ideas and share and expand our music collections. So get your brainstorming on now and get ready to come back for the first Tune in Tuesday and share your post! Today I'm over at the ALSC Blog talking about the programming formula my staff came up with this summer to offer consistent programs for all ages. 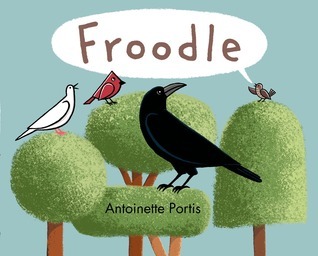 -A silly story about a bird who is tired of the same old song, only to be met with some opposition. 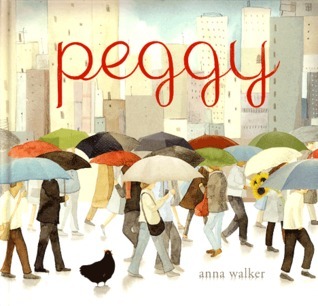 A nice simple commentary on accepting change and adapting that's great for storytime. 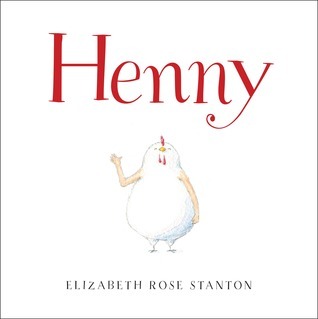 -A sweet and funny story about a chicken who sets off on a big adventure to the city. Also, I love the illustrations. 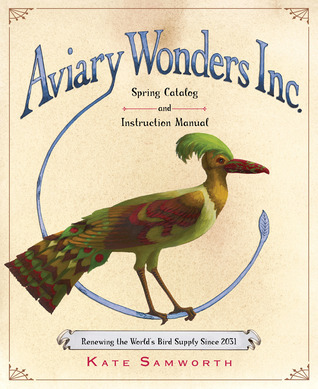 -Another bird on an adventure story with gorgeous illustrations. -A chicken with arms? Odd but adorable! Another good choice for storytime and a sweet book about being different. 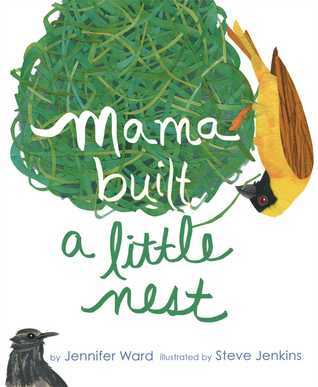 -This one is fiction and has great rhyming text, but I love that is includes a lot of great facts about the birds and the homes they build. -A future with no birds so you can order a mechanical bird that you can design and create. Probably the most unusual addition to the bird trend. 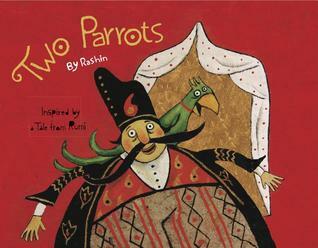 -A retelling of a classic tale from an Iranian author/illustrator. I really enjoyed this one and am looking forward to more from Rashin. Any bird titles I missed? I love to sing and dance so it's no surprise that Bibliobop is one of my favorite library programs! Play music and sing and dance with kids for about 45 minutes? Sign me up! Previously I've used a bunch of CDs and changed them out with each song but finally I have a speaker and an iPad to use for this program, so I felt pretty high tech with my most recent Bibliobop! (Ha! It doesn't take much!) Although I originally advertised Bibliobop for ages 2-6, it's really open to all ages and in the Fall I'm changing the description to say infants-age 6. I usually end up with babies and toddler anyway and really, why not include them? They can dance too! 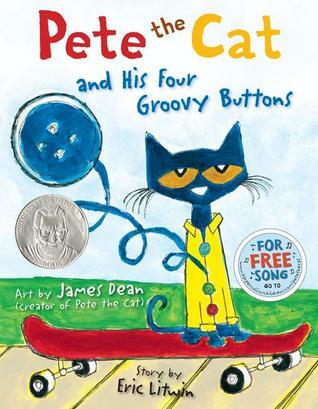 Opening Book: Pete the Cat and His Four Groovy Buttons by Eric Litwin-always a popular pick and I chose this one to start since our opening songs had a rap style and the song in this book is similar. Now it's time for the rules of Bibliobop! #1-Everyone dance in the middle of the room on the dancefloor, not by the doors, tables, or chairs. Also, be sure to watch out for your friends as they dance! #3-The most important rule-HAVE FUN! A Tooty Ta by Ray Remesch-I don't know where I've been, but I only recently learned about this song! It's hilarious to watch the kids and I think it's going to become a storytime regular! Following Directions with Exercise by Mark D Pencil-A terrible name, but the kids love it. Our outreach department uses this with school age kids and they go crazy over it. If You're Happy and You Know It-Carol Hammett-It's a classic! I use this version because it's slow enough for my little ones. Happy by Pharrell-The kids get so excited when this comes on because they recognize it. But beware-it will be stuck in your head for days! Bee by Bari Koral Family Rock Band-This was my scarf song. I had the kids pretend their scarves were bees. During the slow sections we laid down and rested and then we heard a buzzing. During the fast part we danced and waved our scarves. I had one little girl comment that this was her favorite song of the day. Marching Medley by Ralph's World-A great movement song! Time for a book break! 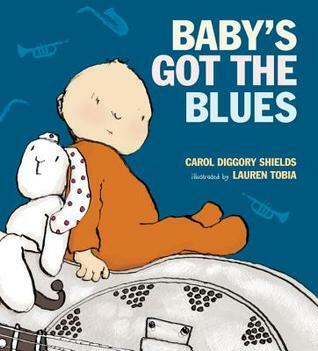 This one has a nice bluesy feel to the rhyming text and I had the kids recite "B-A-B-Y" along with me. Dance Freeze Melt by Mr Eric and Mr Michael-The Learning Groove CDs are awesome and this a creative take on the freeze dance that is so much fun. The Fox by Ylvis-My kids still love this one and it's fun to around to this crazy song-plus it just screams storytime, doesn't it? Mockingbird by Zee Avi-A nice quiet and soft song perfect for the parachute. Bop Til You Drop by Greg and Steve-Another fun take on the freeze dance this time including fall down. Give A Hug by Bari Koral Family Rock Band-A nice ending song to give hugs and wave to friends. Take A Little Nap by Ralph's World-I think this one is so funny I love ending with it! Phew! By that time it's time to leave and I have successfully completed my cardio workout for the day! Any song suggestions to use for future dance parties? I’ve been wracking my brain trying to remember how I first heard about this story. Odds are SLJ reporter Rocco Staino is the one to credit. You see, when Jules Danielson, Peter Sieruta, and I first started working on our book Wild Things: Acts of Mischief in Children’s Literature, we wanted to fill it to overflowing with some of the funniest, kookiest, craziest children’s book stories out there. Everything from Robert McCloskey’s drunk ducklings to the true fate of Misty of Chincoteague. And as we were writing the book we kept our eyes peeled for any new items that might fit the bill. Well lo and behold in 2011 the article Paula Fox on a Roll came out. On the surface it was a fairly innocuous piece about how the Newbery Award winning author was being inducted into the New York State Writers Hall of Fame. Ho hum. Nothing much to catch the eye . . . until you get to the part near the bottom where Ms. Fox has this to say about, of all people, the singer Courtney Love. Quote: “She is crazy, and to use a modern term, a psychopath.” And why, precisely, would Ms. Fox weigh in on the woman who coined the phrase “Kinderwhore”? Because it’s her own granddaughter. There’s nothing better than discovering that two seemingly unrelated beings, famous in their own right, have a connection. In the course of writing this book we had to ultimately cut out stories that talked about how Roald Dahl claimed that Beatrix Potter yelled at him as a child. We eschewed mentioning that the great Arthur Ransome, author of the British-beloved novel Swallows and Amazons, married Trotsky’s daughter. But you WILL find stories about how Roald Dahl got to know Congresswoman Clare Booth Luce veeeeeeeery well. And, you’ll follow our little research path to get to know how precisely a writer like Paula Fox becomes a grandmother to a Courtney Love. Because to be perfectly honest with you, when it comes to the wide and wonderful world of children’s literature, nothing should surprise you. There are some pretty wild people out there. 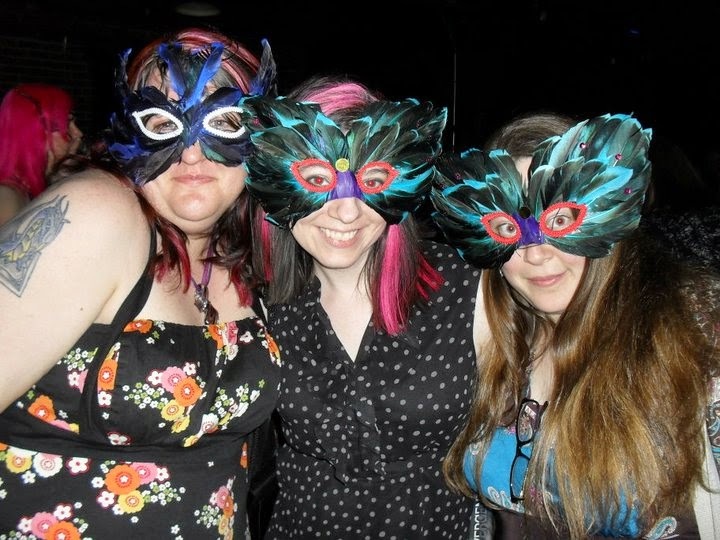 Check out more wild and unexpected stories from Wild Things on the Wild Things tour and follow Betsy and Jules around the blogosphere for more intriguing stories. 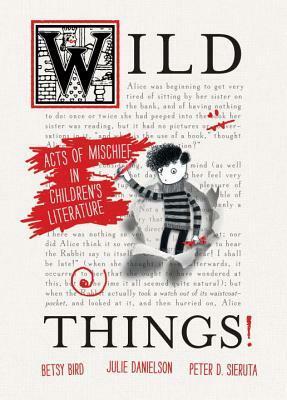 And be sure to get your hands on a copy of Wild Things: Acts of Mischief in Children's Literature-you don't want to miss out on these unexpected and surprising stories! 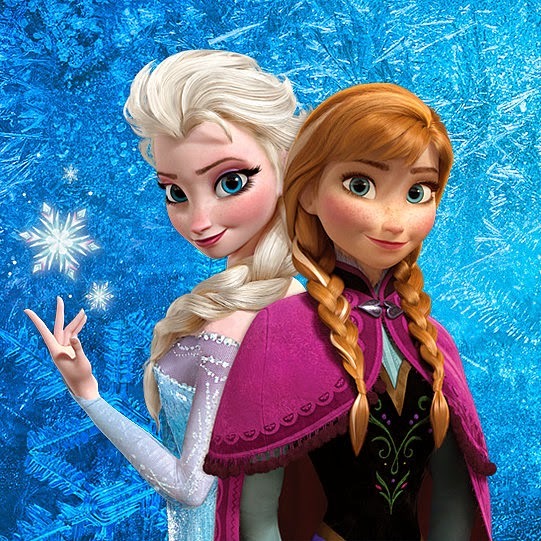 If you work with kids, you know what a phenomenon Frozen has become. So when I realized that I would be without a summer reading performer during the last week of our Summer Reading Program, I knew I had to plan something. Every Thursday at 1:00, we have a big performance (usually a hired performer but sometimes in house programs as well) and I knew that once our patrons got into the habit of coming to the library every Thursday during the summer, I couldn't skip the last week of July. I decided to go with a Frozen Sing-A-Long since the movie was thankfully covered in our movie licensing at the library. I didn't really have many ideas of what to do exactly except sing to the songs in the movie while it played. But luckily my amazing friend Angie also hosted a sing-a-long and gave me a lot of great ideas. Since the program was planned after our programming booklet was published, we only advertised this event via fliers, word of mouth, and on the library website. I knew we'd have a good crowd but I wasn't sure how many to expect since it didn't utilize all our usual promotional methods. So I was shocked when I ended up with 150 kids and around 50 adults. Pretty good for a program planned and not heavily promoted! It didn't hurt that everyone who picked up a flier said "oh my kid will love this!" and then told their friends. I set up the room with a lot of floor space and some chairs out for the adults, which were quickly taken up. Part of the problem was that I didn't get to the room fast enough and a crowd of anxious people had already let themselves into room before I was ready and finished setting up! So the crowd management ended up not being as smooth as I would have liked. I ended up having to run around to catch everyone who came in (and ended up coming in both sets of doors since I couldn't close or lock one because I was trying to play catch up with people already there) to get them to fill out the prize drawing entry slips. My original plan was to have everyone enter through one door and fill the slip out on the way in, ensuring an entry for everyone and an easy head count method for me. Next time I know to close the set of doors I don't want them enter through and make sure staff are stationed by the doors to direct everyone inside. That's typically how the Thursday programs work anyway, but my overly anxious group sent this particular program into a bit of chaos. My staff and I had made snowflake wands (diecut snowflakes on popsicle sticks) for the kids to wave around to each song-Angie's brilliant idea. We made 100 and one of my staff had to run back to the desk and make a bunch more to ensure every child had one. Between the crowd, the snowflake wands, and getting everyone entered into the drawing, the program actually started about fifteen minutes late. Once I felt I had everyone mostly settled and asked if everyone had filled out an entry form for the prizes, I explained what we would be doing for the singing. I decided not to show the subtitles because I felt it would be too distracting and I didn't need them-the kids knew the songs. They were quoting along with the movie from the moment it started. I directed the kids during each song to sing along, but they didn't need my help. They knew all the words and motions and loved belting out the songs with other fans. I also made sure to applaud at the end of each song and tell our Frozen chorus how awesome they were-it was amazing to hear a room full of kids singing Let It Go at the top of their lungs! The group did get restless since I had a lot of younger kids and younger siblings attend, and after Let It Go, there aren't as many songs as frequently. Because of this, I decided to hold an intermission. I asked the kids if they knew what an intermission was and explained it was a short break. I used this time to do our prize drawings (I bought Frozen pens from the Target dollar spot) and told the kids to not worry if they didn't get a prize-they would still get something at the end. Then we went back to watching the movie. This worked pretty well and was a nice way to break up the movie. At the end of the movie, I passed out the goodies for everyone. I wanted everyone to go home with something, but I didn't want to spend time on a craft because I knew it would take forever and we'd never get to the movie. So with the help of staff, I passed out a paper doll packet using dolls from Paper Dolls by Cory. (Again, Angie's brilliant idea!) The kids liked having a craft to take home and it worked well because they could have fun and have a party at home without me having to facilitate a lot of cutting and folding. Of course, no program is perfect and there were a few cons with this one. For one thing, the room was very crowded and with the adults pulling out every chair possible and bringing in huge strollers, the entryway often bottlenecked and it ended up very hard to maneuver around the room. Despite my best efforts to get the adults to be involved and sing with the kids and sit with them, many adults used this a babysitting time and sat in the back on their phones or reading a book and a few chatting with friends. I'm not sure what to do next time to encourage more involvement, but this is a recurring thing with our large summer reading performances. Even with the downsides and crazy huge crowd, the feedback was great. So many patrons told me how much they enjoyed it, thought it was a great idea, and asked how often we do events like that. I don't know if another sing-a-long for any other movie would be as popular, but it was pretty simple to put together and it was a lot of fun. And there's nothing like hearing a room of kids singing their hearts out! I had so many of our library staff and patrons standing the hallway and peeking in to watch the kids sing Let It Go which was fantastic promotion for the youth services department! Would I repeat it? Yes, but maybe with some more tweaks in how to handle the breaks between songs and a bit more crowd control. It was a pretty fun event and fairly easy to plan and implement. But do I want to listen to Let It Go anytime soon? Not really, I listened to it a lot to prepare for this event!